Everybody wants to have good looking arms. Guys want well developed arms, while women want them slender and toned. Together with abs, arms are some of the most exercised parts of the body. It’s no accident – when worked upon, arms can look very impressive. 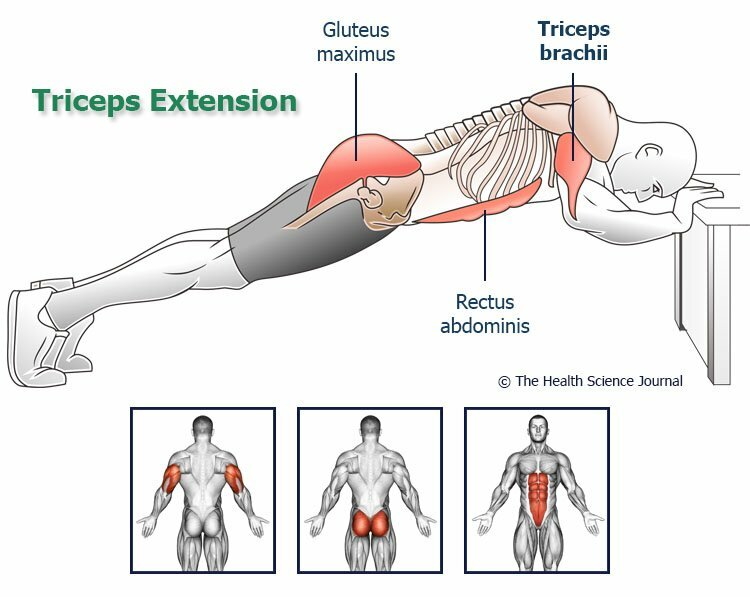 We invite you to stay put as we present our top bodyweight tricep exercises and favourite bodyweight bicep exercises. We’ll also show you how to get bigger arms at home. You won’t need any special equipment besides some furniture that can be found in most homes. We have taken upon the task of creating a series where we’ll demonstrate the best bodyweight exercises and show you the most effective way to combine them into cohesive programs consistent with your fitness goals. We started with this 10 Level Push-Up Challenge which uses various modifications of the classical push up to progressively build up upper body strength and will continue with separate programs for specific parts of the body, beginning with the arms. By following our bodyweight series, you will have the tools to become lean, limber, and athletic. You won’t be intimidated by push ups and pull ups and your glutes will function like never before. Daily tasks requiring physical effort will become a breeze and the confidence you’ll gain from this program will shine through in all aspects of your life. Many people wonder if they can develop impressive muscularity and fitness solely by performing bodyweight exercises. The answer is a definitive YES. As you progress to more difficult variations and increase the number of repetitions your body will respond by synthesizing more protein and laying down more muscle tissue. With these bodyweight tricep and bicep exercises you’ll learn how to manipulate your body to achieve a world-class workout. You do not need to be a slave to the gym. Make the world your gym and become its resistance! However, arm exercises are important for both women and men. The benefits they bring are universal and the looks are equally attractive. Many women are insecure about the appearance of their arms, the triceps in particular, and seek to develop the area by strengthening exercises. In fact, while the biceps seem to get all the glory, the appearance of the arms requires proper development of the triceps, as well. 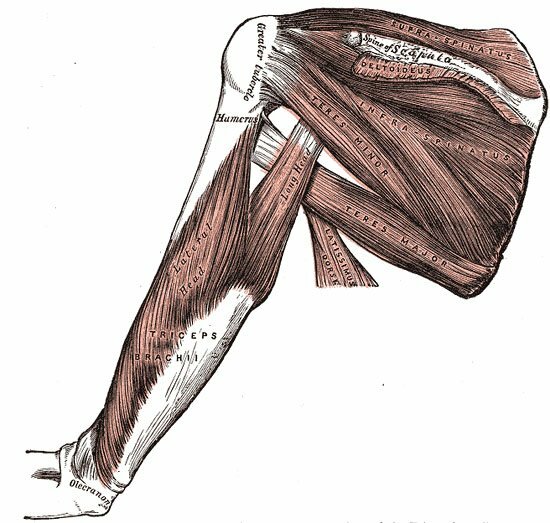 One can even claim that, in function and esthetic appeal, the triceps is the most important muscle of the upper arms. 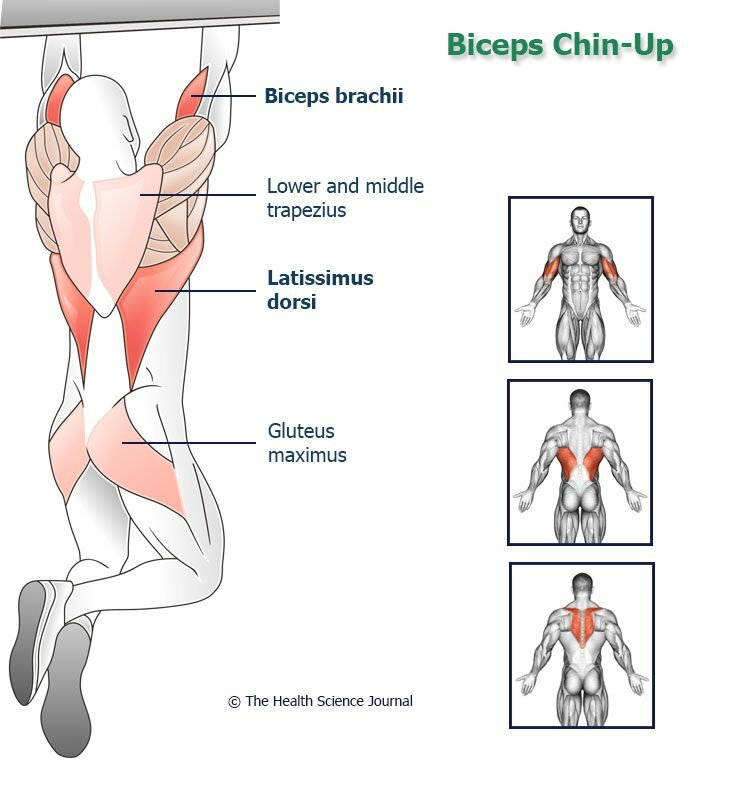 Before we start with our bodyweight tricep and bicep exercises, let’s first try to better understand the arm musculature. 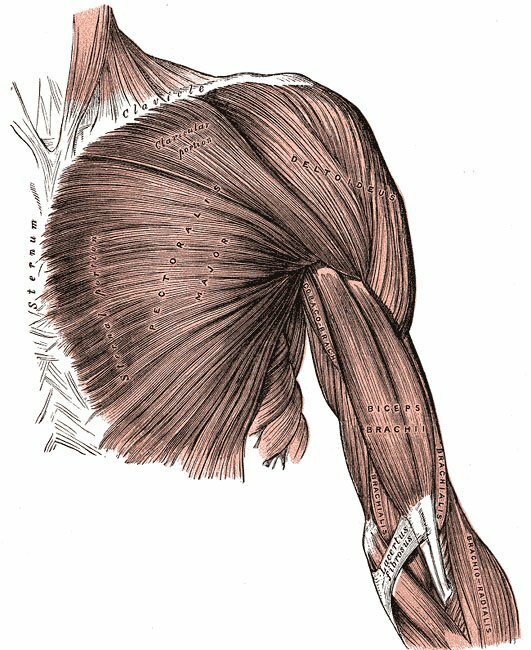 The primary elbow flexors are the biceps brachii (see picture below), which are moving the wrist toward the shoulder by bending the arm. Other elbow flexors, like the brachialis and brachioradialis, contribute to movement in varying degrees depending on how the elbow flexion exercise is performed (for example, which grip is used). Interestingly, since you’ll be working your chest as well as your arms, you may notice bigger growth in your pectoralis major than your upper arm. Also, the triceps will be easier to make bigger in the beginning and more difficult afterwards. Do not be alarmed, you aren’t doing anything wrong. This is because of the different time course of the muscle hypertrophic response between the upper arm and chest. It is crucial when performing arm exercises to concentrate on squeezing the targeted muscles and not allow other muscles to take over the job. Concentrate on feeling the arm muscles contracting when creating the desired movement. Before training his biceps, Arnold Schwarzenegger used to envision them growing as big as mountains. Bodybuilders call it a mind–muscle connection and with time you will also develop these neuromuscular pathways. 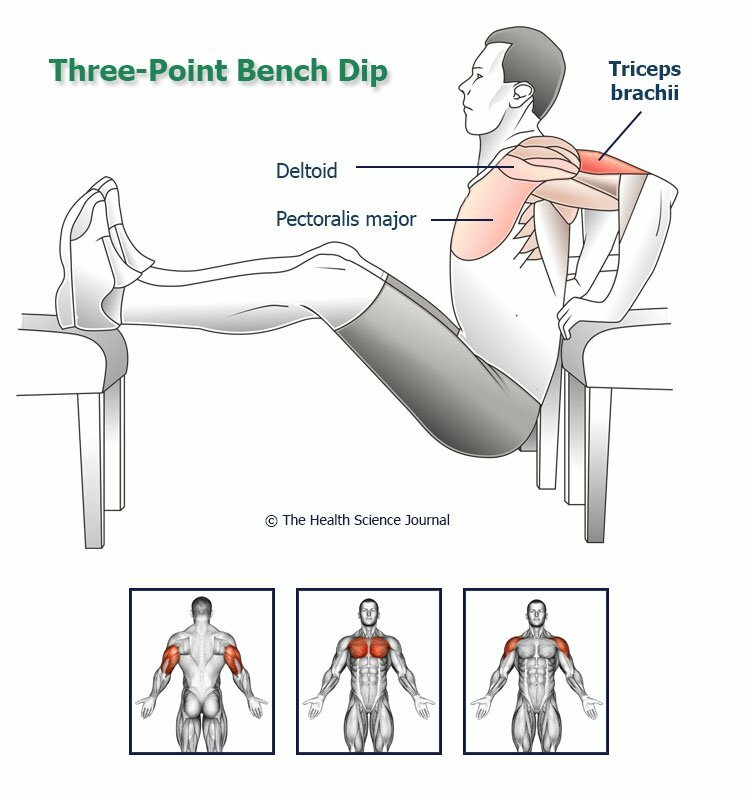 When performing the following bodyweight tricep and bicep exercises start by thinking about your training. Visualize yourself contracting your muscles against resistance. This will help you put maximal stress on the intended muscles and help you build bigger arms at home. Safety tip: choose a stable, sturdy table, or chair. As with our other bodyweight triceps and biceps exercises, try to increase the difficulty (load) as you go on. You can again accommodate different levels of strength by using a taller table (easier), or a shorter table (more challenging). Depending on the type of table you use for support, you might not be able to get a full range of motion, as your head might come into contact with the bottom of the table. If this is indeed the case, just execute an isohold by holding the top position for some time (30 seconds to 2 minutes) or perform a shorter-range pumping motion. Otherwise, grip both ends of a towel wedged into the top of a door. By using a neutral grip you can work the brachialis and brachioradialis a bit more than the biceps. 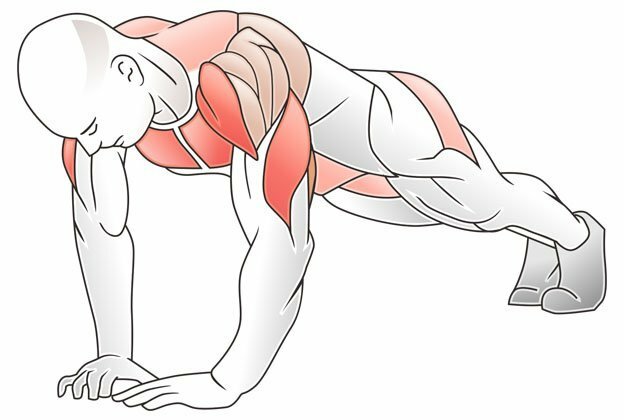 The close grip push-up is another classic exercise that targets the triceps and pectorals. While the exercise is extremely effective, you must maintain a high level of concentration to perform the correct movement. Most people are either sagging at the hips, looking up and overextending the neck, stopping short and failing to use a full range of motion, or, crucially for the triceps, failing to center their elbows over the wrists. 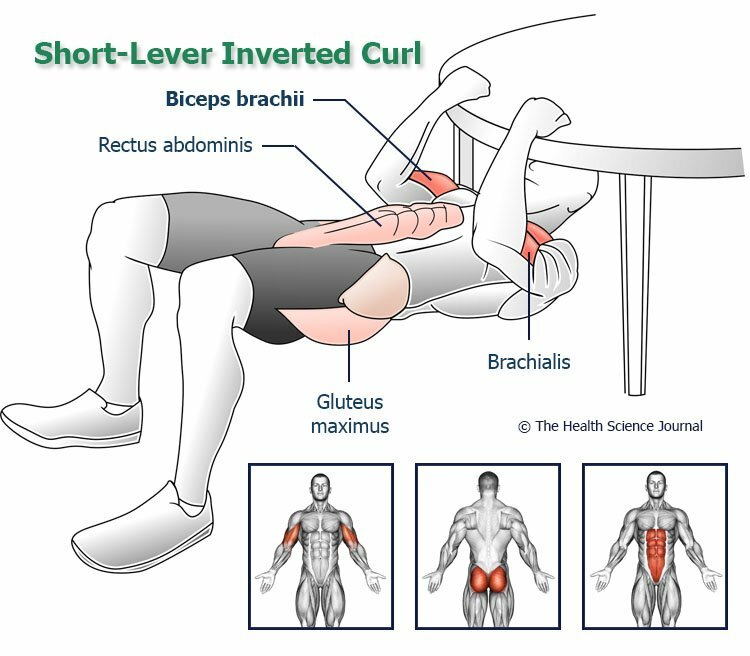 Continuous flexion of the abs and glutes ensures a strong core, keeping the body straight and not allowing the hips to sag. Make sure you lower your body until the chest touches the floor. Look down throughout the exercise and keep checking that the elbows are in line with the wrists. Again, keeping your muscles tensed and contracted ensures you get a good core workout in addition to the upper-body workout. 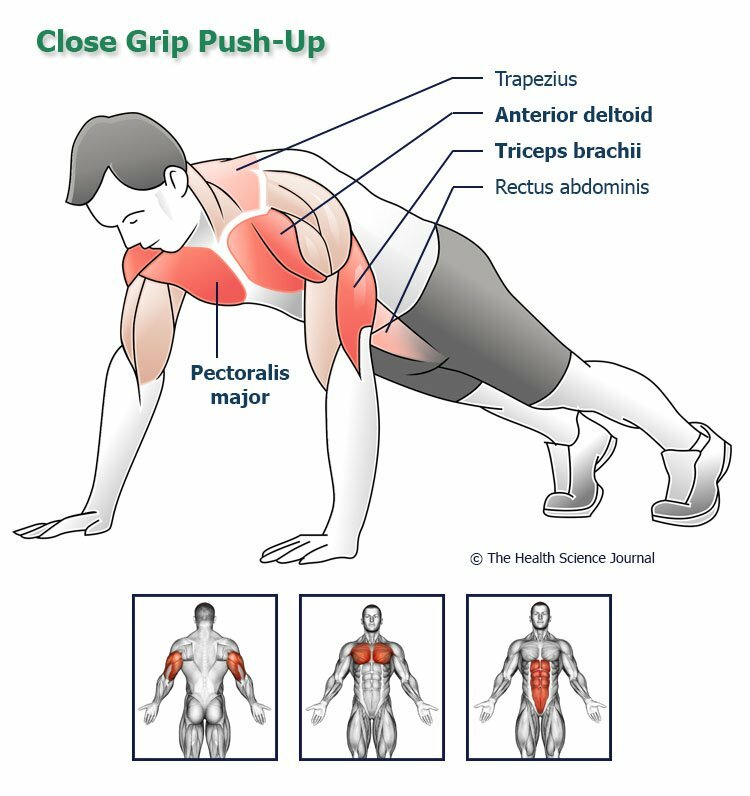 The diamond grip push-up is more challenging than the close grip push-up as it relies more heavily on the triceps. Perform this variation with the hands touching each other on the floor by forming a diamond shape with the thumbs and index fingers. We used our bodyweight triceps and biceps exercises to create an infographic about a 4-week workout on how to get bigger arms at home. While the results will be visible in 4 weeks or even less, true results will appear after 15-25 weeks of progressive load increasing exercises.